To me, it is always refreshing to experience something truly new that breaks all the rules with food. Even though I am a classic traditionalist in many ways (my favorite meals are usually ones that are time-tested), I can be quite adventurist because I do enjoy learning something new. 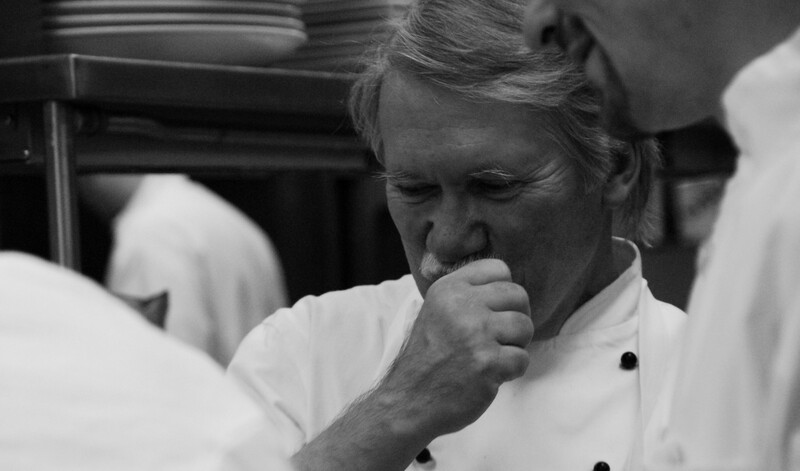 I love going to wine pairing menu events, and even enjoy preparing them more. So, I am fairly comfortable with assessing the job that the sommelier and chef did in matching foods and wine. Last night I attended my first cider pairing dinner. Now there are few things in Vermont that could be more Vermont than cider (maybe maple syrup), but this menu paired the unlikely multiple versions of hard ice cider with spectacular food. Chef Tim McQuinn from the North Hero House in Vermont did a fabulous job of designing a menu that reflected his style, the bounty of Vermont, and the unique profile of ice cider. Together with Eleanor Leger from Eden Ice Cider, they experimented and put together an extraordinary meal. Thoughout the process of dining I was a student once again, learning about the “right” apples for cider, the process of making ice cider, and the way to build off the cider profile and design a menu that really works. Kudos to Tim and Eleanor for a successful, educational and delicious class in cider pairing. This picture is just a sampling of how special the menu was. 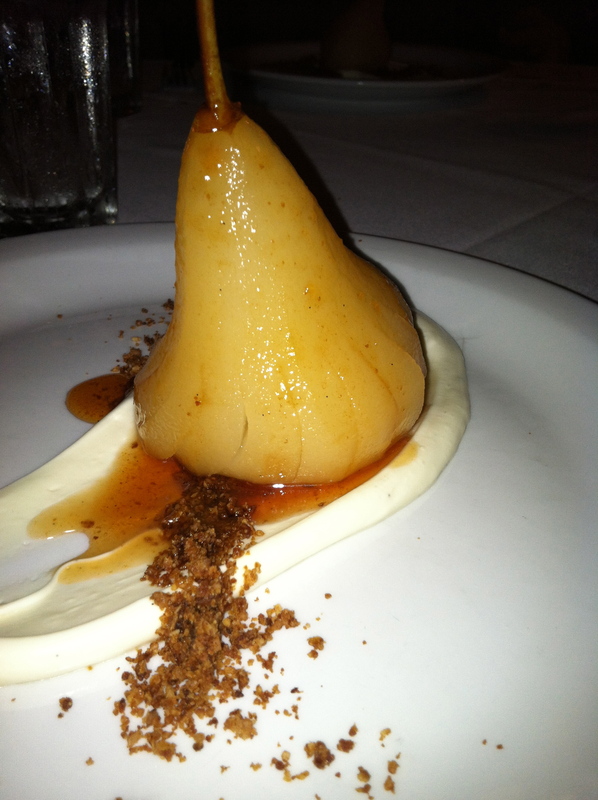 A Vermont Bosc Pear poached in cider, served with Mascarpone Cheese, a Hard Cider Glaze and Granola Crumble – Beautiful and Exceptional! Tell Walt (the owner) that I sent you. dinner sounds great! never heard of a cider pairing before. i like it!